Before he became a private investigator, before he served in the Detroit police, and long before he retreated to the wintry reaches of Michigan's Upper Peninsula, Alex McKnight played ball in the minor leagues. He doesn't spend much time thinking about those days, at least not until a former teammate comes looking for him. . . . The man's here to ask a favor. He wants Alex to help him find the woman with whom he had a brief, passionate affair three decades ago. Who is Alex to deny his friend a chance to ward off a classic midlife chill by rekindling an old flame? But as the search deepens, McKnight begins to suspect that he hasn't been told the full story. And there might just be a reason why this mysterious woman is so hard to find. 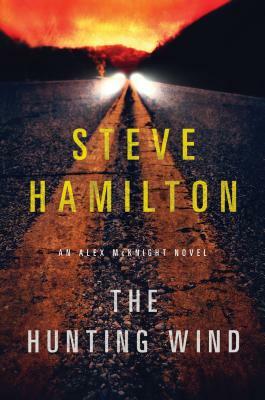 The Hunting Wind continues Steve Hamilton's award-winning and New York Times-bestselling Alex McKnight series.